Enjoy numerous nature walks and Zodiac tours, which reveal stunning scenery, pristine beaches, and awe-inspiring landscapes throughout your Kimberley Expedition. Embark the Silver Discoverer for this stunning Silversea Expedition – The Kimberley, Australia’s Hidden Treasure. This afternoon, you will be introduced to your Expedition Team and attend a Zodiac briefing, and tonight Silversea invite you to familiarise yourself with your new home away from home, meet some of your fellow travellers and enjoy the first of many memorable meals in The Restaurant. The Kimberley is famous for having the second largest tidal range in the world after the Bay of Fundy. A flexible itinerary allows the Silver Discoverer to take advantage of this natural phenomenon. In the true spirit of expedition cruising, each day the Expedition Leader and Captain will determine the best course depending on tide, weather and sea conditions. Here are some of the places the vessel may visit during your time in this wondrous region. Nares Point is a long finger of sandstone protruding from the mainland alongside Koolan Island. With its convoluted photogenic rock formations, this is a superb location for Zodiac exploration and beach walks with your naturalists. In nearby Crocodile Creek—free of crocodiles despite its name—take a refreshing swim in the cool natural pool to relax and beat the Kimberley heat. The British naturalist David Attenborough described Horizontal Falls as “one of the greatest natural wonders of the world”. This group of over 800 islands was created millions of years ago by the erosive tidal changes and the region’s 490-foot tides (149 m) create an amazing spectacle. Depending on whether the tides are ebbing or flowing, board the Zodiacs for an exhilarating ride through the falls. Then continue deeper into the sandstone gorge of Cyclone Creek, and explore geological formations that were created over the last two billion years. No Kimberley Expedition will be complete without a visit to Montgomery Reef, which is over 400 square miles (1035 km2) in size to observe the amazing tidal changes that take place here. Timing of the tides is everything today; low tide reveals up to 13 feet (4m) of reef exposing a river that allows access to this amazing semi-submerged world. As the tide continues to ebb, use the Zodiacs to make your way to the edge of the reef where you are surrounded by cascading waterfalls up to 10 feet high (3 m), and continue up the river as you look at the abundance of reef birds and every imaginable sea creature including turtles, manta rays and if you are lucky the elusive dugong (manatee). A visit to Montgomery Reef is truly a once in a lifetime experience. At the Opening Ceremony of the 2000 Olympic Games in Sydney, the world saw an enormous Wandjina spirit rising out of the ground. It was a breath taking moment, and for most people, their very first encounter with Aboriginal mythology. The image was actually that of a 114-foot sculpture (35m) created by an artist who lives at Raft Point, home to indigenous Wandjina paintings. You will Zodiac ashore and set out towards the top of Raft Point. The hike takes you through the abundant Kimberley Flora including the iconic Baobab Tree, also known by the local Aboriginals as the “upside down tree”. Upon reaching the top of Raft Point, enjoy the spectacular views of the bay in the shade of the overhanging cliff, which is home to the Wadjina Spirit and many other Dreamtime stories and images representing daily aboriginal life. Take a seat, or lie on your back and take in the Wadjina Spirit and listen to the dreamtime stories associated with this extremely important Aboriginal spirit. The Hunter River is home to an immense mangrove system that dates back over 2 billion years. Be sure to look for the image of the Indian Head in the soaring red sandstone cliffs as you set out in Zodiacs to explore the narrow mangrove channels, watching for numerous bird species and keeping an eye out for the Crocodylus Porosous (saltwater crocodile), the most aggressive crocodile known to man. For those wishing to explore some of the Kimberley’s vast interior; your on board Silversea Expeditions team can arrange an optional helicopter flightseeing excursion to the famous Mitchell Falls where four tiers of waterfalls plunge into deep pools that flow out into the Mitchell River. After landing on Jar Island by Zodiac you go for a walk to the outdoor gallery of Bradshaw Art a.k.a. Gwion Art, one of the three distinctive styles of rock art in the Kimberley region. Bradshaw Art has raised more questions than answers as to that who painted these figures and where they have come from, and you will listen to the theories and interpretations of the own experts as you admire these very delicate and intricate pictographs. The King George Falls is one of the Kimberley’s most magnificent natural wonders. At 260 feet (80m), the twin cascades are among the highest in Australia. After dropping anchor at the mouth of the river and ride Zodiacs up this waterway, weaving through an amazing landscape of near vertical red rock formations and a parade of wildlife — carnivorous saltwater crocodiles, amazing birdlife including giant raptors and the Brahminy Kite. Arriving at the falls, staff can cruise quite close to the base to contemplate the immensity of this thundering spectacle. It is truly a humbling experience. 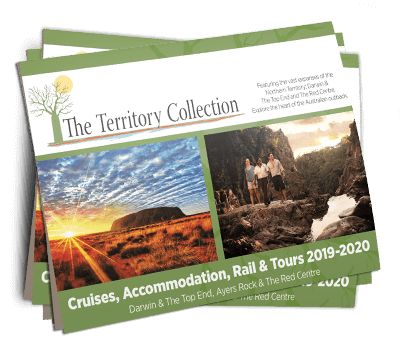 Wyndham is the gateway to the breath-taking Bungle Bungle mountain range in Purnululu National Park, a World Heritage Site — and with good reason. For more than 350 million years, nature has shaped geological formations of giant orange and black striped domes rising out of the ground, a landscape unlike anything you have ever seen. Known to the local aborigines for hundreds of years, the Bungles were only discovered by the outside world in the mid 1980’s. Today take part in an inclusive over flight for an aerial view of these glorious panoramas, as well as seeing the majestic, man-made Lake Argyle, and Argyle Diamond Mine, area from the air. A leisurely day at sea to exchange notes with fellow travellers and take advantage of the luxurious amenities aboard Silver Discoverer. Attend a lecture, perhaps about the Indonesia craft of Ikat weaving or to recap the fascinating Dreamtime mythology of the Aborigines. Or just relax in the comfort of your suite and watch a movie on the in-suite interactive television. The islands of Southern Maluku long managed to escape unwelcome attention from the outside world. No spices were grown here, so the only trade was largely limited to marine products. The three islands of Leti, Moa and Lakor have approximately 20,000 inhabitants and one of the few matrilineal cultures in Indonesia. After the wedding, the husband would traditionally move into the home of his new in-laws, although today many couples choose a home of their own. After the Silver Discoverer has been cleared into Indonesia you will have time for a short, expeditionary visit to the island before departing back to Australia. Following breakfast, disembark Silver Discoverer.